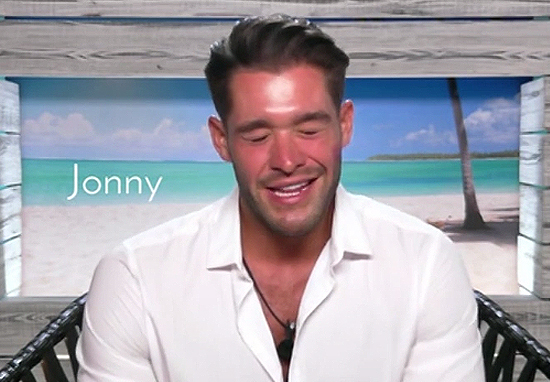 Love Island‘s resident ‘tuna melt’, Jonny is a lot of things, but we can all agree he’s blinking annoying. The hopeful but misguided and ultimately controlling Casanova has antagonised viewers and Love Islanders alike, but things reached peak mug in last night’s episode when he blinked and gurned his way through an awkward dairy entry. Or the continuous and irritating meeting of eyelids, I should say. 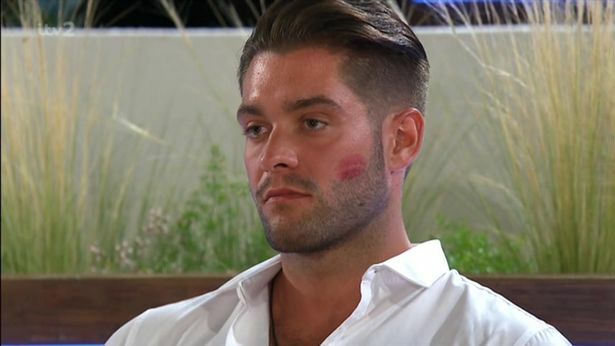 Essex claims that ‘Jonny’s heavy blinking means he is VERY insecure about the situation he is talking about’; namely the accusation that Theo is a prick. He is on you 24/7. To me that shows me how insecure he is at the moment and to not even let you out of his grasp, out of his sight. I had to stick up for him but I don’t think what he said was particularly mature and I do think it was a bit ridiculous. I also think it was outrageous that you squared up to him as well. Laughing it off would have been a much more gentlemanly or manly thing to do. Either way both of you were completely childish but I hope you can understand why he was so angry. I have to respect your decision and you’ve not been horrible to me, you’ve not done anything wrong but I have to sleep on the sofa again, thanks for that. In other Love Island news, today, it was revealed that ITV2 producers are having to edit out the contestant’s bedroom antics, for fear viewers will think the show is sensationalised and over-sexed. Shouldn’t be a problem for Jonny, at least.